NeverBlue is nestled amidst rolling hills in the heart of Frederick County, Maryland. 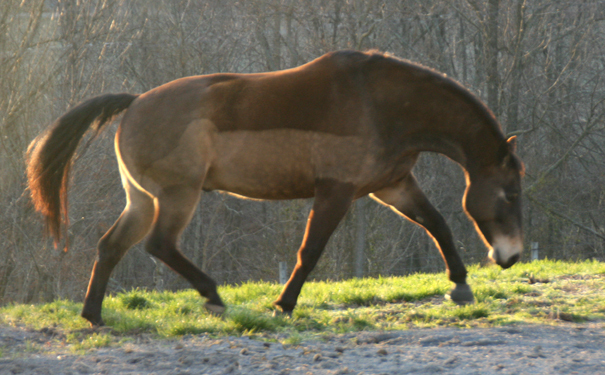 We offer boarding, instruction and training for riders who are striving for a balanced relationship with their horses. With eclectic backgrounds spanning hunters, eventing, dressage, and natural horsemanship, we are equally at home in Western or English tack and are just as happy in the show ring or out on the trails. Henry is a world renowned farrier with over 30 years of experience who has produced a wide body of written work on the field. Besides horses, we participate in shooting sports & Maryland legislation, knitting & other fiber arts, and a variety of other interests that we will share with you on these pages. 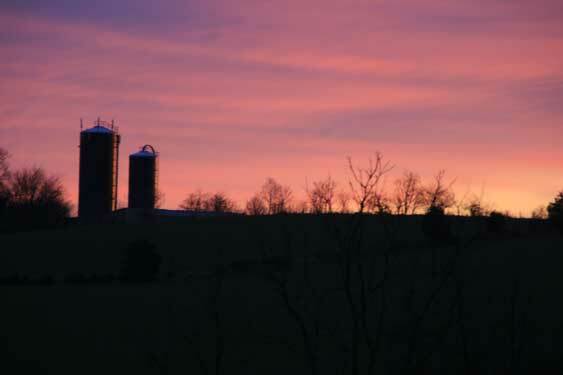 Sunrise on the farm. Gotta love it! We both strive to increase our connection with our horses, sometimes by working with trainers - but often, just by listening to the horses. We have worked with a variety of folks, but our best teachers have been our horses. And just because we need a cute pony pic - here's a pretty Shad pic! Henry has been shoeing since the early 70's - something he started doing on the side to make money while supporting his music habit! But the shoeing gig grew and grew and 30 years later, he is a recognized leader in the field. He has been published in numerous magazines (Anvil, American Farriers Journal) and has released a book (On the Horse's Foot - now out of print) and pamphlet published by Storey Press. We have been involved with cowboy shooting for several years, Henry more so than Kyrie. The sport is a blast (no pun intended) and is truly a family affair with husbands, wives, son and daughters participating. I expect that there are even grandkids out there! In the past year, we have been involved in helping to start up Mounted Cowboy Shooting here in Maryland. It's not that big a sport on the East Coast, but is growing. Teaching a horse to cope with the high excitement and still stay with you is quite a challenge. I just love to knit! The color and texture of yarn and the things that can be made with it are endlessly fascinating. One of the latest shawl projects. 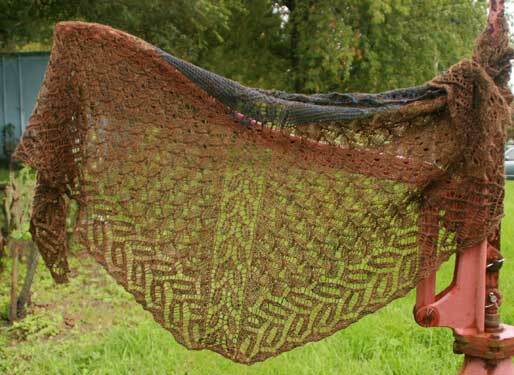 It's called Pine and Ivy(designer Anne Hanson) made out of a silk/cashmere/wool blend yarn (Nona) by Spirit Trail. This one went to my sis in Montana. It's scrumptious!